Here’s why it’s right to choose Pittsburgh over Paris. To be clear, I am a committed conservative who deeply desires to conserve the beauty and purity of Planet Earth. I’m committed to pure water, pure air, and protecting our God-given creation. This is a crucial part of the Dominion Mandate (Genesis 1:28)–that we humans are to be wise stewards under God of His world. My actions show that commitment. I conserve energy by turning out lights when I leave rooms. I don’t fly in carbon-polluting private jets. I re-cycle faithfully. I don’t waste food (always clean my plate). Food scraps go to the chickens and their droppings fertilize our garden. I drive an economical car. I’ve always lived this way due to two overarching principles: 1) Serve people, and 2) Steward things. That where taking care of the earth comes in. So why am I, a strong conservationist, in favor of getting out of something that’s supposed to help save the planet? 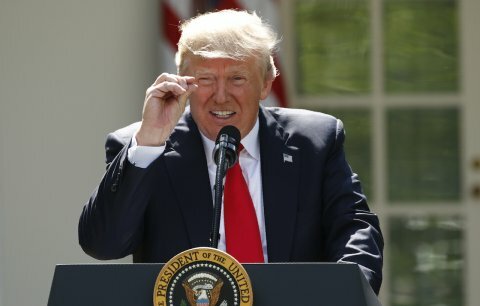 Because the Paris Climate Accord is the epitome of fake news. It’s not really about science, climate, or international harmony. It’s about steps toward tyrannical global government. Here are my top ten reasons for leaving. 1. Man-made global warming is at best unproven and at worst a hoax. We are being lied to about global warming as Gary Randall emphatically points out via 80 graphs and 58 Peer Reivewed papers. It is not settled science. In fact, we might be in store for the opposite. 2. It’s goal is to push for a one world government run by global elites. 3. It’s really a global wealth re-distribution scheme. Global wealth re-distribution is as bad as the national version. It creates laziness and dependency. 4. Leaving the accord allows the United States to lead from the front, not from behind. An improving environment in America, the need for jobs and economic growth, and stopping the march of globalism gives the United States the authority to point the world in the right direction–freedom–as the best antidote to the world’s ills. It’s time for the US to lead again. 5. It would promote a deterioration of national sovereignty. One of the goals of globalism is collapsing the national sovereignty of countries into UN-backed entities and eventually a one world rule. Open borders and the lie of climate change are the biggest issues being used to bring about the change. A lack of sovereignty means forced secular conformity, persecution of biblical values, and enforced poverty worldwide. God is the author of national diversity (Acts 17:26). Only His rule can bring about global unity. 6 It would stifle the global economic engines of growth and job creation. The Paris Climate Accord is anti-growth–the number one engine of global prosperity. 7. It would prevent the US and other nations from becoming energy independent. The Paris Climate Accord would have stopped America (and other nations) from becoming energy independent through fracking, natural gas use, new technologies and green energy (as it becomes economically viable). Don’t you want to be free of OPEC? Doesn’t the world need more energy, not less? 8. It would reward and enrich many small and large-nation dictators. “Trump’s refusal to stay in the Paris system is motivated by China’s so-so participation. The Chinese have not committed to any fixed target or any specific steps to reduce its carbon output, the largest in the world. 9. The Paris Accord will not lower temperatures. Amen–if you believe in facts and freedom. The world was wrong on the Paris Climate Accord. President Trump was right to call their bluff. Let’s keep working for the people of “Pittsburgh” (the common person), be good stewards of the earth, and do it all for the glory of God (1 Corinthians 10:31).